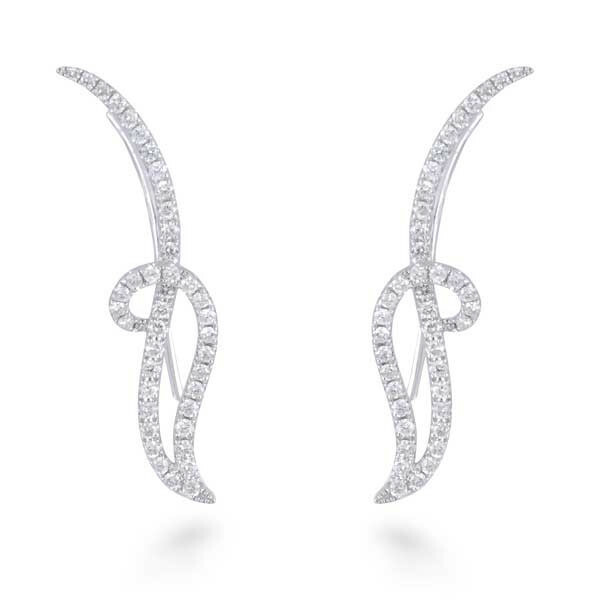 These swirling ear climbers will add a feminine touch to your style. Each ear climber is crafted in 18kt white gold in a swirl that crawls up the ear, and the pair are embellished with the gorgeous white diamonds. Ear climbers give you an irresistible way to change up your look.